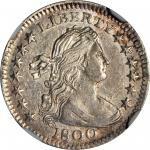 1795 Flowing Hair Half Dime. LM-10. Rarity-3. VF Details--Environmental Damage (NGC). 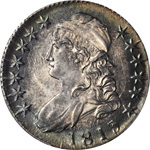 1796 Draped Bust Half Dime. LM-1. Rarity-3. LIKERTY. VF-35 (NGC). 1800 Draped Bust Half Dime. LM-1. Rarity-3. AU-58 (NGC). 1801 Draped Bust Half Dime. LM-2. Rarity-4. Fine-15 (PCGS). 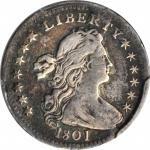 1829 Capped Bust Half Dime. LM-2. Rarity-1. MS-66 (PCGS). 1831 Capped Bust Half Dime. LM-5. Rarity-1. MS-64 (PCGS). 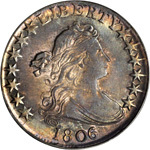 1831 Capped Bust Half Dime. LM-6. Rarity-1. MS-65 (PCGS). 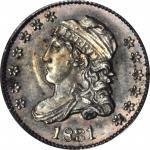 1832 Capped Bust Half Dime. LM-3. Rarity-1. MS-65 (NGC). 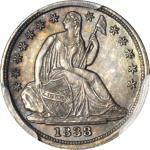 1833 Capped Bust Half Dime. LM-1. Rarity-3. MS-65+ (PCGS). 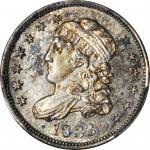 1837 Capped Bust Half Dime. LM-1. Rarity-1. Large 5 C. MS-65 (NGC). 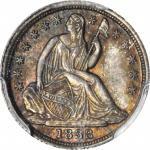 1837 Liberty Seated Half Dime. No Stars. Small Date. MS-66 (PCGS). 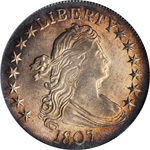 1837 Liberty Seated Half Dime. No Stars. V-1. Large Date. Repunched Date. MS-67 (NGC). 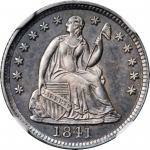 1837 Liberty Seated Half Dime. No Stars. V-1. Large Date. Repunched Date. MS-64 (PCGS). 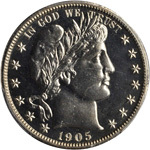 1838 Liberty Seated Half Dime. No Drapery. Large Stars. MS-66 (PCGS). 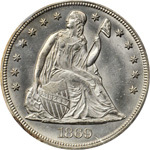 1838 Liberty Seated Half Dime. No Drapery. Large Stars. MS-65 (PCGS). 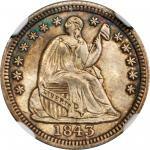 1841 Liberty Seated Half Dime. MS-65 (NGC). 1843 Liberty Seated Half Dime. MS-67 (NGC). 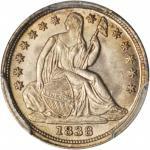 1846 Liberty Seated Half Dime. VF Details--Environmental Damage (PCGS).